Read Sir Julian Horn-Smith's oration on The Rt Hon. the Lord Willetts for the honorary degree of Doctor of Laws in July 2017. 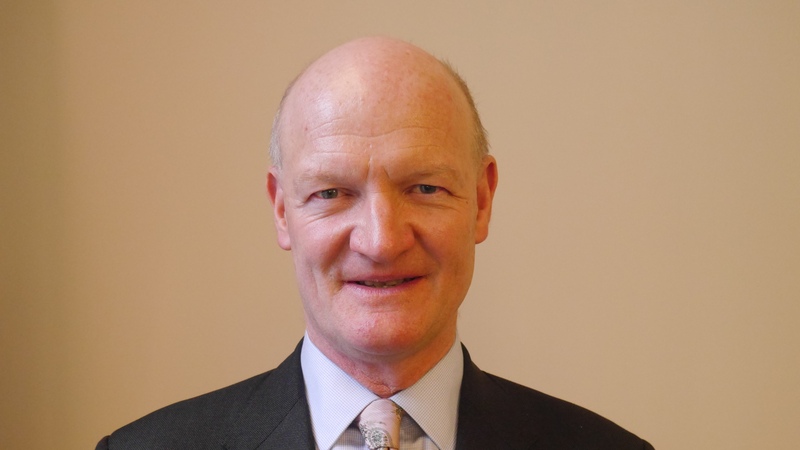 Chancellor, it is my pleasure to introduce Lord Willetts, a Conservative Life Peer, former Minister for Universities and Science, academic, writer and member of numerous Boards and organisations. However, the person of David Willetts cannot simply be summed up in this way. He is also the man who camped out with homeless people and, as a youngster, travelled daily on the bus to school. It is his personal moral compass and sharp intellect that has won him the warm respect of senior figures across the political spectrum and many others besides. David Willetts was educated at King Edward's School, Birmingham, and Christ Church, Oxford, where he studied Philosophy, Politics and Economics, graduating with a First Class degree. His early career started under Baroness Thatcher, working in the Policy Unit and resulting in his interest in how to deliver policies into the real world of practical application. He was elected to Parliament in 1992 and served to 2015 as the Member of Parliament for Havant in Hampshire. He has worked at HM Treasury and has served as Paymaster General. He held a number of posts in the Shadow Cabinet and was the Minister of State for Universities and Science from 2010 until July 2014. He has described the job as being “the servant of a community, which has got lots of prior expertise… and is going to be around long after you’ve gone” for which the role was that of “an honest friend”. He made a priority of meeting people to create a working environment in which he could hear different points of view before engaging in the debate. There have been many, often contentious, debates but his understanding of universities and the HE Sector earned him great respect. He believes passionately that universities and science are great British successes and the challenge is to keep them properly funded. In recent years, he has focussed on inter-generational justice. He published in 2010 ‘The Pinch: How the Baby Boomers took their Children’s Future’, a widely acclaimed and path-breaking book. As Visiting Professor at King’s College London, he continues to share ideas with a broad community of policymakers, academics, journalists, business leaders and the public – latterly writing about ‘Issues and ideas on Higher Education: Who benefits? Who pays?’ (2015). He has commented on the lack of social mobility within the education system and how choosing such a narrow range of subjects to study in the sixth form impacts on later options, noting in a blog “Only 7 per cent of young people in England and Wales take the A levels which make them eligible for most university engineering courses”. He has been strongly supportive of the British space industry. Under his stewardship, the UK Space Agency was formed and its budget contribution to ESA (European Space Agency) was dramatically increased. There can be no doubt that we have him to thank for Major Tim Peake’s mission last year. As a keen walker, cyclist and swimmer himself, he would certainly have been rooting for Tim as he completed the first space marathon! Lord Willetts has a wide range of interests. His wife, Sarah Butterfield, is an accomplished artist. He is on the Board of many organisations and is Executive Chair of the Resolution Foundation. This is a think-tank that works to improve the living standards of those in Britain on low-to-middle incomes by developing effective policy solutions that help shape the debate on economic and social policy. He admits that one of the things that he loved about politics was trying to link up the evidence from social research or economics to real-life policy decisions. What he most values about Higher Education is being able to engage with the fascinating research taking place and hold conversations with communities of staff and student. He has said that universities are in shape for a good future and that we at Bath are working with optimism to realise the future good. Chancellor, I present to you Lord Willetts, who is eminently worthy to receive the degree of Doctor of Laws, honoris causa.